I have seen Cynthia Kupper, national director of the Gluten Intolerance Group of North America, give this presentation on the differences in gluten intolerances a few times. She created this video for me to share with you. I have been trying and trying to get it uploaded somewhere, and I have finally succeeded (after a couple of months – very sad – there was always some problem). If you would like to know how Celiac Disease is different from gluten intolerance, and how Autism and wheat allergies compare, or if you just want to know more, please watch this video. It is about 9 & 1/2 minutes long. I tried to edit it a bit, but that didn’t work, either. So if you are editing savvy and would like to help, please email me at delightfullyglutenfree at gmail dot com. 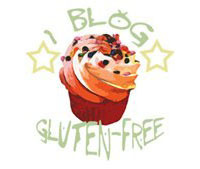 This entry was posted in Celiac/GF News, GF Education. Bookmark the permalink. Why is she whispering? That’s a bit odd.